As sweet as cinnamon: Its all about Love! I had been toying with this pattern for a few weeks for a friends birthday. I tried sewing it the way the pattern said and couldn't get it neat enough. 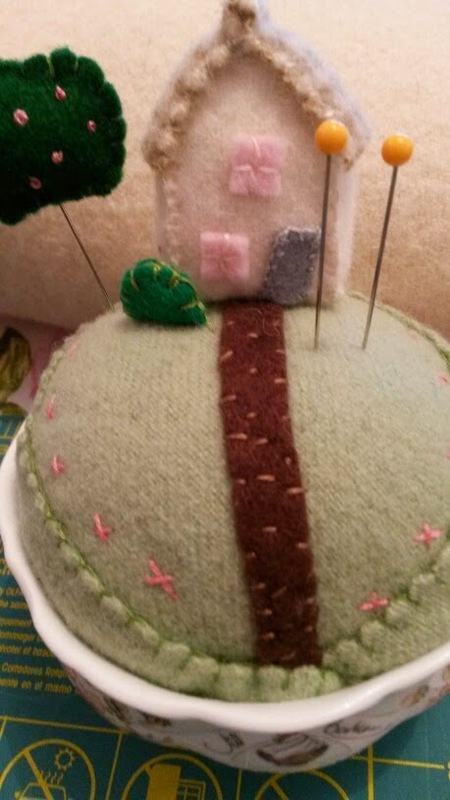 I had an idea to make the house on top of the world pincushion on a wood base, as it would be heavy enough. Then I thought maybe a glass desert dish would look sweet. No it wasn't right either. 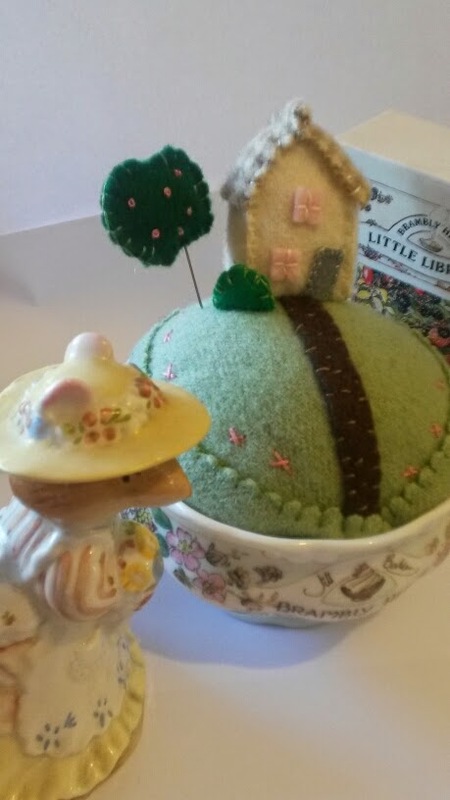 I was chatting with Judy on Tuesday at sewing I decided to try it in a sugar bowl I had.. I used a Brambly Hedge Sugar Bowl as I had two and it was so pretty. and a visit HERE to purchase the pattern. Now I need to make another for another friends birthday present! To quote Ethel, it's GAWJUS! It is adorable and came out great!! That is just the sweetest pincushion.